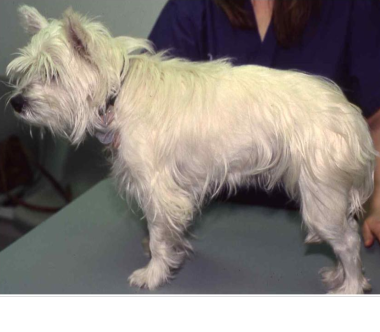 Allergy to environmental antigens (atopic dermatitis) such as pollens, molds, and house dust mites is a common problem in dogs, especially terrier breeds. It is a chronic skin disease that can be managed, but not necessarily cured. 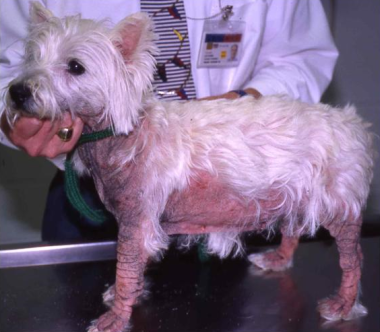 A veterinary dermatologist can provide the guidance and support that is needed to manage these difficult "itchy" cases.